A Triptych is a generally a religious picture or relief carving on three panels, separated vertically and often used as an altarpiece. 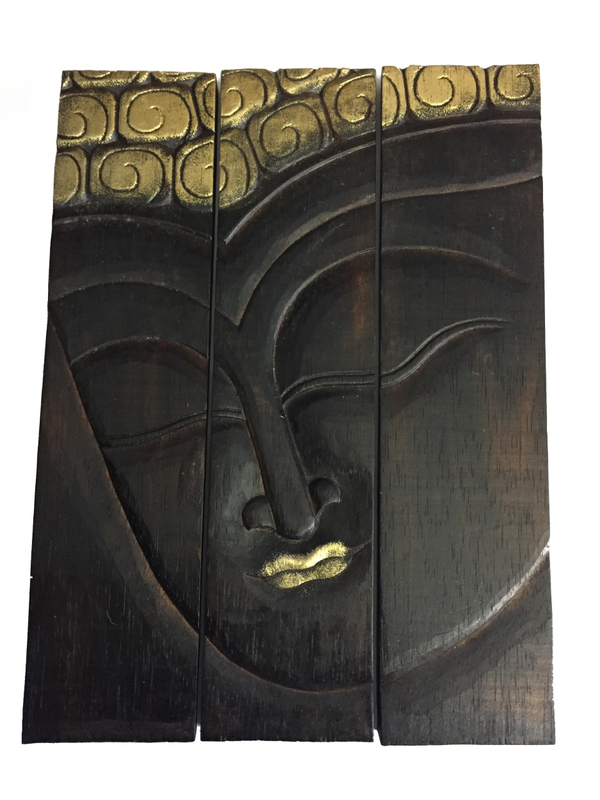 Our Buddha Triptych follows in this tradition, the serene face of the Buddha is hand carved into plantation managed Mahogany Wood and the lips and symbolic knots in the Buddha's Hair are painted in gold for visual effect. 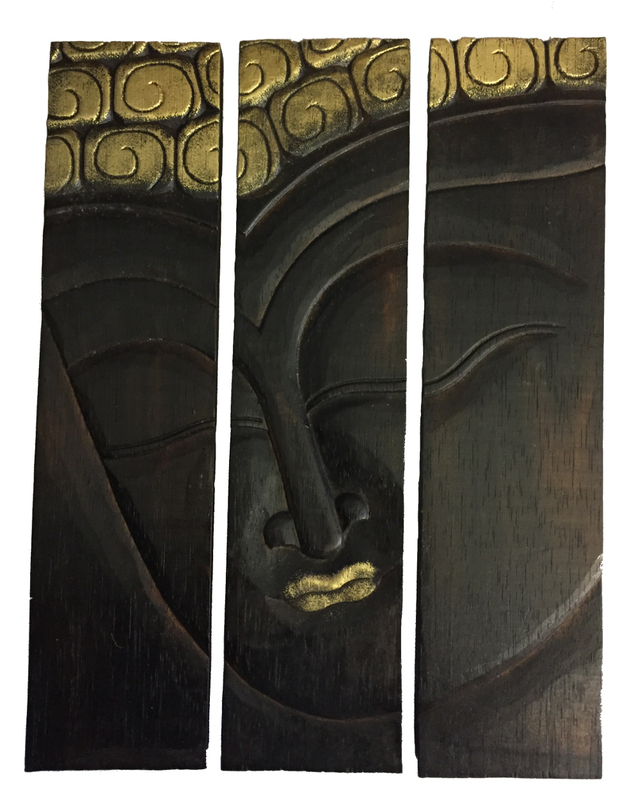 Our stunning Buddha Triptych will bring serenity and calm to any room in which it is placed. It can either be hung with the panels butting up to each other to give the impression of one larger panel or the panels can be hung slightly apart to highlight the three panels. 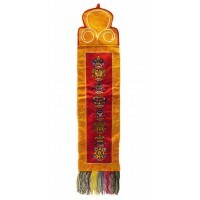 Each panel measures 40 cm by 10 cm and is 2 cm thick, each panel has a hanging loop on the back. 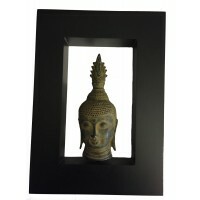 As each Triptych is hand made there will be small differenecs between the picture the the triptych that you receive. 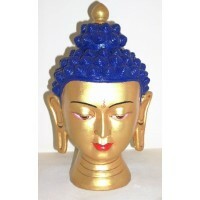 This means that you have a handmade work of art and not a mass produced souvenir! 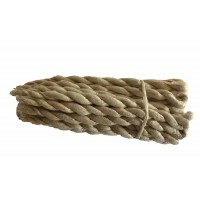 Tibetan Medicine is based on herbs and plants, the power of which has been forgotten by many people ..
We are very excited about our traditional Tibetan Astasugandha Rope Incense. 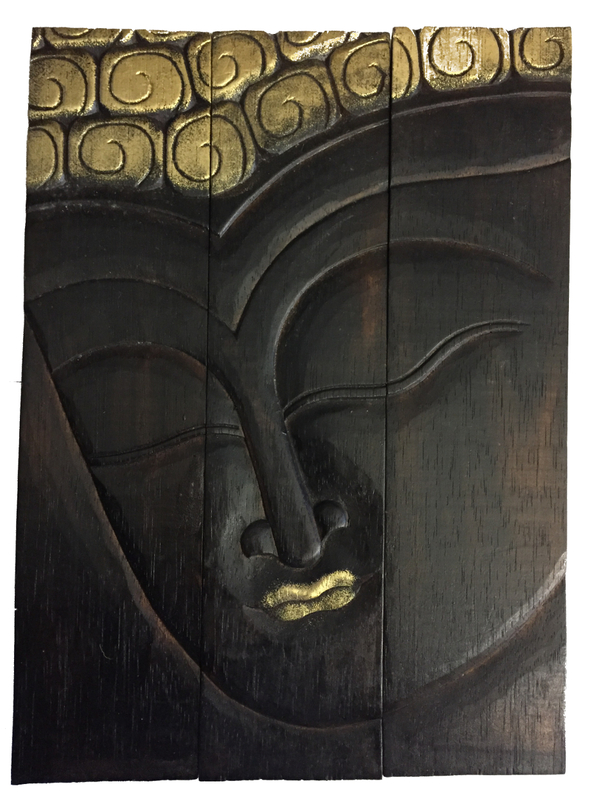 It is a Traditional Him..
Our handcarved natural wooden Buddha Masks are handcarved for us by our master craftsmen in Bali. 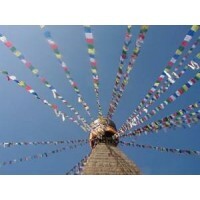 On..
Nepal, high in the Himalya is an interesting mix of Tibetan Buddhism and Hinduism. 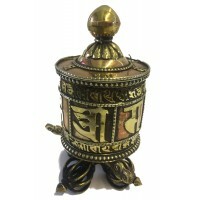 The religions int..
Tibetan Prayer wheels are used to accumulate wisdom and merit (good karma) and to purify negativitie.. 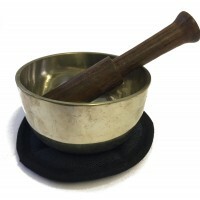 According to Tibetan oral tradition, the existence of singing bowls dates back to the time of the hi.. 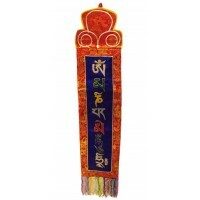 Lung Ta (horizontal) prayer flags are of square or rectangular shape and are connected along their t.. 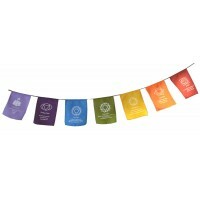 Ancient Hindu and Buddhist texts tell us that the 7 Chakras are the energy centers in our body throu..
Our wall hanging shows the 8 Tibetan Buddhist Auspicious Symbols. They are the Chattra (Parasol) whi.. 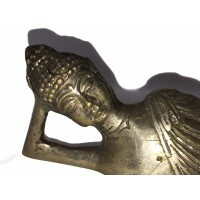 The reclining Buddha is a representation of the Buddha lying down during the moment of his Mahaparin..
Our handcarved Gold and Silver Buddha Masks are handcarved for us by our master craftsmen in Bali. O..